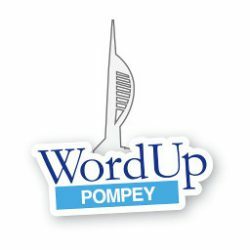 Fun with emoticons - WordUp Pompey! Screen capture of the block in the editor. Media and text as seen in the editor. The right hand part is a screen capture of the left hand side. The whole thing is an image. Now here’s some fun with two Columns Font Size Large and Drop Cap selected. What I saw in the editor.